" A perspective of 2018"
This project started in a workshop and with my lack of a colour tool that could fit my purposes. 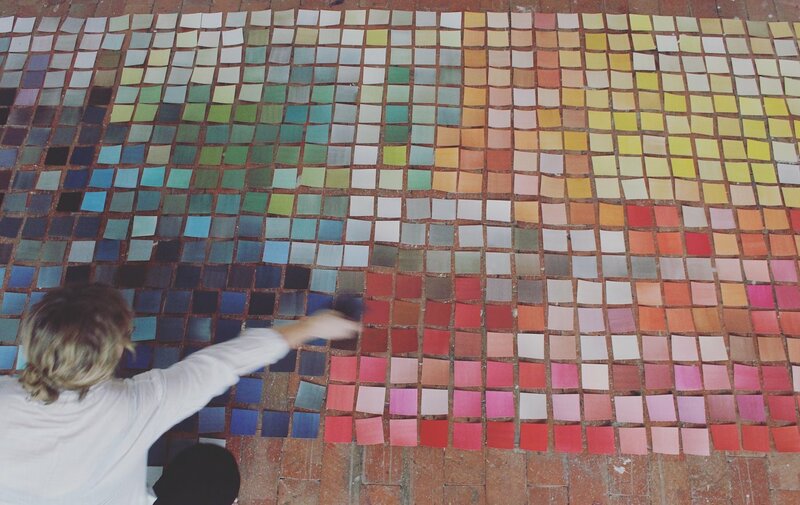 It´s a custom made box that contains 800 pieces of hand painted colour shades. An object as much as an tool. I´ve made the shades daily and like a diary it has grown over the year.